Do you feel like there is something missing in your wardrobe? If you often think of an old dress or a pair of shoes, perhaps it is time to bring them back. You probably remember those old oversized watches which everyone loved or the stylish dresses with different floral prints which are perfect for the Summers. Well, I have good news for you, now is the right time to bring some of your old favourite clothes and accessories out and try them once again. Whether you have a pair of classic sneakers that you love or interesting sunglasses which you’ve always dismissed as being too retro, don't hesitate anymore and include them once again in your wardrobe. I promise you that you won't be sorry. Sometimes we all get tired of the modern conceptions in fashion. I often feel like things were better in the past and that is probably the reason why all big names in the fashion industry get their inspiration from those days. If you are a person who doesn’t like to comply with the contemporary trends in the fashion, then you will really like the ideas you will find here. The most important thing about clothes is to make you feel good and beautiful. Throwing out a perfectly good dress, for instance, just because it went out of style is not necessary. You are free to wear the clothes and accessories that you like for as long as you like, because there are some things that just never go out of style. Before you bring out your old things, however, it will be a good idea to clean them. If you notice that there are some old stains or spots, don't hesitate to use stronger detergent and other kinds of products to remove the grime. It is still possible that you may not be able to erase all traces of dirt and if that happens, I suggest you turn to the dry cleaners. You shouldn't give up on your favourite things just because of a couple of spots. You will see that after the cleaning they will look just like new. I will gladly remind you about some accessories and clothes which will make a great addition to your wardrobe. Colourful oversized watches – We all had those in different sizes and colours. A watch like this will certainly make your outfit better. Depending on the model, you can combine the accessory with clothes in the same colour or in a similar one. Feel free to use your imagination and come up with different styles and outfits every day. 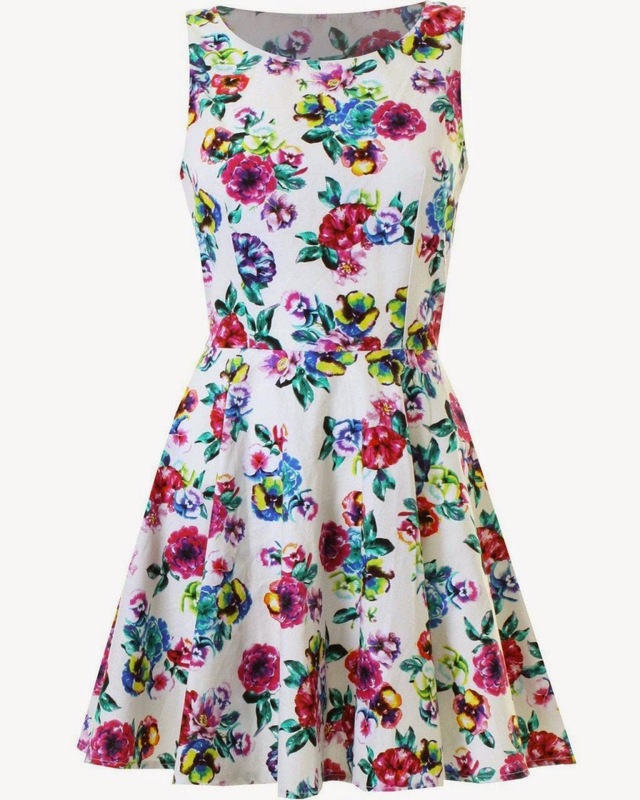 Floral print dresses – Those kind of dresses are simply perfect for the hot summer days because they are very light and, at the same time, very interesting. They are great for a party with your friends and even for work. It all depends on the style of the dress which you will pick but I can assure you that you will receive a lot of compliments. Classic sneakers – Is there really something more comfortable than sneakers? Well, I think not and I'm sure that you will certainly agree with me. The colour and the label don't matter when it comes to this kind of shoes. Instead of wearing sneakers only when you workout, why don't you consider getting a pair for every day? You will not only look good but will also feel very comfortable. Hippie sunglasses – Seems like this kind of sunglasses are coming back. Some people think that the round shape of this model is not for everybody but I think that you will be able to discover the right pair for you. You can find hippie sunglasses in almost any store and they won't cost much for sure. Author Bio: Anna Aamone works hard for CallCleaners SE3 but at the end of the day she is just a regular woman keen on fashion and beauty. She keeps her wardrobe up to date and likes to read fashion magazines.